← Could Hybrids be becoming cool? Following my last post on whether hybrids can be cool, I feel there is one point I have to raise. As awesome as the 918 Spyder, or even the future Ferrari F70, will be, they do have one fatal flaw. They may be superb driving machines causing litres of adrenaline to flow through your brain each time you press the pedal, yet they will still remain very virtual in a way. You see, even though cars are becoming increasingly efficient and quick, they tend to do more and more of the task of driving, leaving you with simply turning the wheel. Press the accelerator in some cars, and it will be the car that decides how much power to produce at the wheels. Cars are now digital. Yes, they are still fun, but at the end of the day, the driver is no longer involved, he is just there for the ride. There are lots of elements at play here, traction control, electric steering, monster ECUs, and other various gizmos, yet there is one element that started this trend, and it dates back over sixty years. Yes, it is the automatic gearbox. You see, in an automatic car, the only thing you have to do is modulate the throttle and brakes, and steer. The task of driving is rendered so easy, even a child can master it at their first try. The connection between man and machine is no longer there. With an automatic, the car decides in which gear it wants to be and what power to apply. With a manual car, you are in control. The human plays the link between the engine and the speed. Moreover, it is complicated enough, so that simpletons avoid it. Want to see a bad/uninterested/lazy driver? Look for the automatic. When driving a manual, you decide at what revolutions you want the engine to run. Want to hear it sing? Then just let it run! The act of changing gear in a manual is simple, yet satisfying. Mastering that perfect gear change gives you a good feeling, similar to mastering that perfect soufflé. Press the clutch, change gear and release the clutch at the optimum moment. Sounds easy, but not a lot of people can do it perfectly. I’ll admit, even myself I tend to mess it up sometimes, mainly because I am not focusing. People who drive manuals have to be focused, so are less likely to make mistakes then, making them better – and safer- drivers. But just like that perfect soufflé, the gear change can be done in a wide variety of complexities. When braking and down-shifting in a rear-wheel drive car for example, it is best to heel-toe it, giving the engine a blip of throttle while changing gear, just before releasing the clutch, in order for the engine idle to mach rev speeds. Forget this in a muscle car for example, and you severely risk doing a 180 at speed. In some older cars (with no synchromesh, or to lower synchromesh wear), you also have to double clutch when changing gears: press clutch, shift in neutral, release clutch, give a blip of throttle, press clutch again, change gear and release clutch. Easy no? And all done in a fraction of a second. The perfect gear-change is vital for a smooth drive. I will even be corny, but to me, a car with a manual gearbox ensures a ‘pure’ drive. Moreover, a car cannot get away with a bad gearbox. If the gear change is squishy and imprecise, you know it straightaway, since you feel it. The gear change needs to be a work of mechanical perfection. In an automatic, the gearbox can be really bad, but if it does its job, you will hardly notice it. A car cannot get away from a bad gearbox. It is sad to see newer cars ditching the manual option for double-clutch semi-automatic or fully automatic units. The reason why? Efficiency and emissions. Because humans are imprecise and prone to failure, car companies prefer to have a computer do the gear-change for you. That way, the gear change can be done as quickly as possible, and even be programmed to lower emissions by controlling when the car changes gear. The computer is taking over our driving, just so the company can claim lower gas mileage. Pleasure is sacrificed for efficiency. Yes, a car with a DSG gearbox will be ten seconds quicker around the Nurburgring, but it will be less fun, as you are less involved. 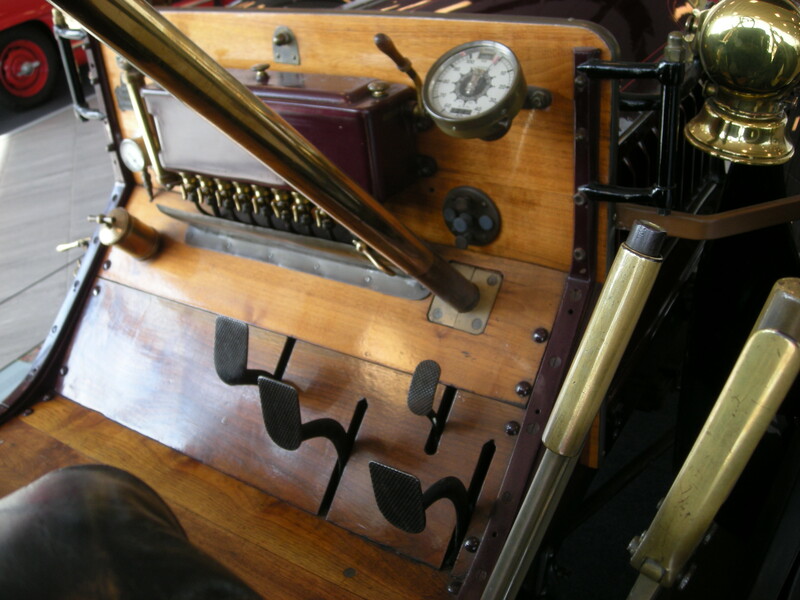 Yes, you can change the gear yourself, by pressing a button, but really, where is the fun, the challenge? It is sad to see great driver’s cars such as the Renaultsport Clio, the BMW M5, or the Porsche 911 starting to ditch the manual option for better efficiency. Technology is making our favourite cars worse. Driving fun and involvement are being sacrificed. Yes, humans are inefficient, but are we not allowed to enjoy ourselves? The automatic is just another step to self-driving cars, and then Skynet. This entry was posted in Philosophy of driving and tagged 918 spyder, bmw, driving, dsg, F70, Ferrari, fun, m5, manual, porsche. Bookmark the permalink.